So I have expanded Heritage Station and created two new brands. One is a hair salon, and I've got Free hair I found on Kitely freebie island etc. I have retextured them, and given some working huds! All are FREE at THE SKINNY at Heirtage Station. Each style has 6 different colors, and if it comes with a hud there is a demo beside it. I also have a free nail polish HUD for the SAPPHIRA MESH AVATAR. <3 because WHEEE! toenails! I am also working on a prim pet. 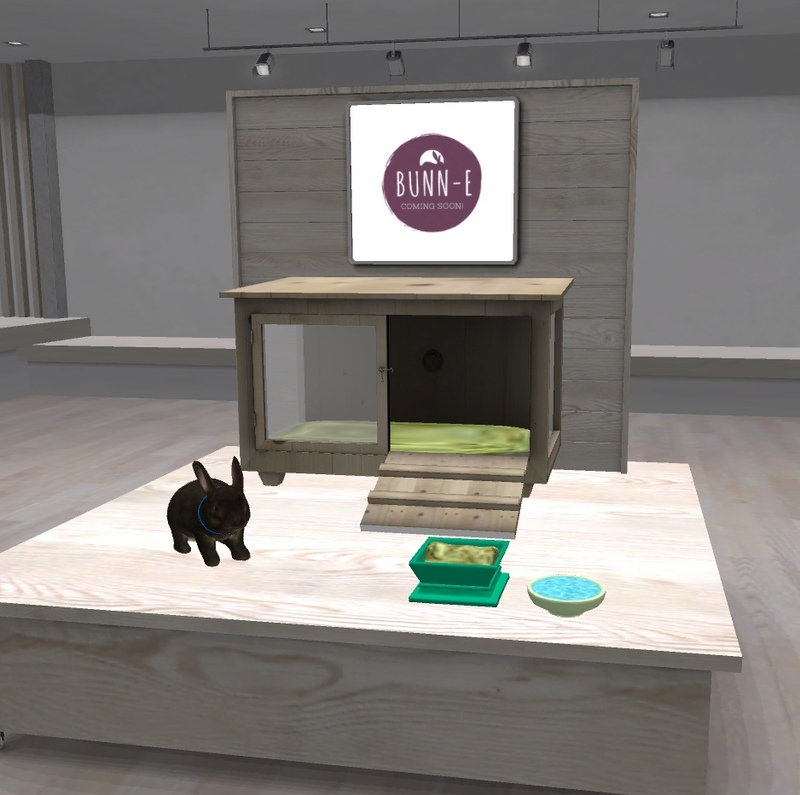 The Bunn-E Pet Pal. As you can see he'll come with a hutch and food you can refill for the nice RP aspect of it. So excited for him, but like I said still in the works!